"The evening starts at La Madeleine with Raxola. 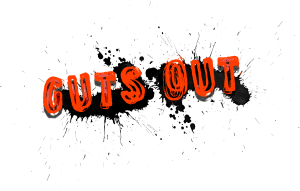 Yves Kengen's group celebrates its 40th anniversary by proposing a new line-up and a new album, Guts Out, produced by Thierry Plas (formerly Machiavel) and numerous concerts as the "defender of the punky soul of rock’n’roll". In front of an somewhat sparse but enthusiastic audience the group gives itself thoroughly. It's a real pleasure to vibrate to the sound of a band that defends the rock spirit far too absent from the BSF's 2018 programming. And Raxola’s fans include all generations: I was bumped by two girls all excited who wanted to know where they could get the group’s t-shirt. Raxolaaaaa!"